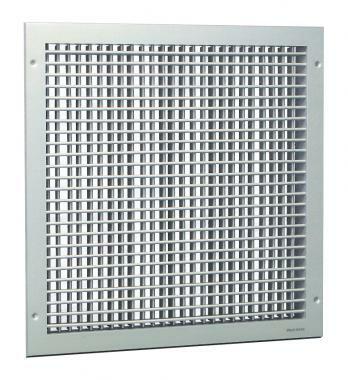 Double deflection grilles are suitable for supply air for either sidewall or exposed duct applications. The Double deflection grille has two rows of blades set at 90° apart which permit up to 45° deflection of the air in two planes. Size 6/7 fits 300mm square modular size and size 9/12 fits 450mm square modular size.